2018 was a year to forget for Denny Hamlin. 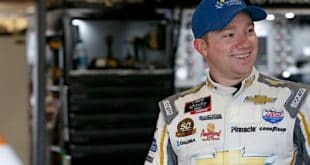 The Chesterfield, Va., native failed to win a race at NASCAR’s top level for the first time in his full-time career (since 2006). Not winning a race in Joe Gibbs Racing equipment is an enormous disappointment. Hamlin wasn’t shy about his downturn in performance, either. 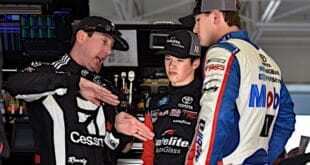 Despite Hamlin’s claim that Mike Wheeler would be his last crew chief of his career, the 2018 dismay forced a new shot-caller on the No. 11 Toyota. 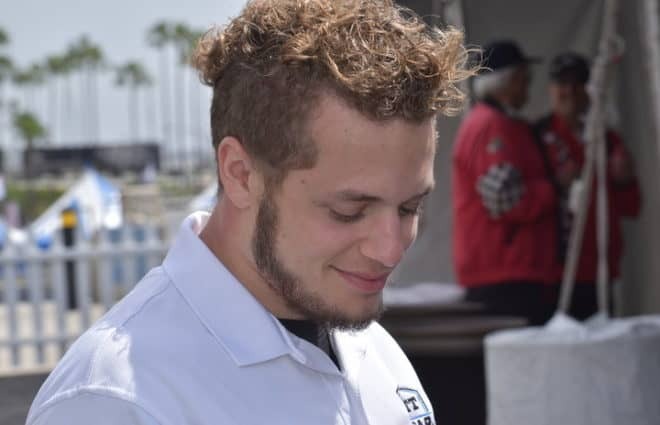 Enter Chris Gabehart, who’d spent the majority of his time in the Xfinity Series with JGR. 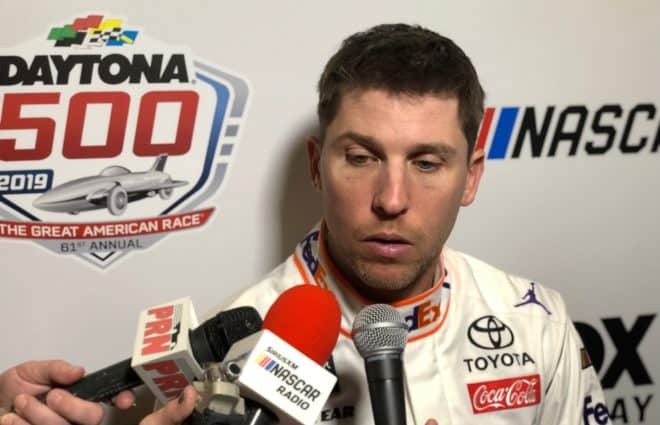 “I think it’s actually a good race to start with a new crew chief because you’re not really talking about handling that much,” Hamlin said at Daytona 500 Media Day. “It’s a good one to just kind of get your feet wet on the communication side of things. What his lingo is on the radio versus mine, so I think it’s actually a good start to the year. Hamlin did his fair share of bobbing and weaving through the pack last year, only for bad luck to strike at inopportune times. But don’t get it twisted: he still has a chip on his shoulder. “You always feel like you have something to prove, but certainly this year in particular,” he said. “I’m very fired up to go out there and win. Not one race, not two races, not even three – just like multiple races and show that we are a contender each and every week just like I know that we are. Hamlin has won multiple races in seven years (including a career-high eight in 2010). He’s visited Victory Lane 31 times in his Cup career, so not making a trip with a checkered flag was a rare circumstance. In 2019 though, there’s no looking in the rear-view mirror. It’s all out the windshield. “I’m looking forward to this one more than looking back on the last one simply because there’s just nothing I can change from this past year,” he said. “I couldn’t help the bad breaks that we had or the things that went wrong. All you can do is just figure out how can that not happen again. That’s all well and good in theory. But implementing that strategy to produce results and sustained performance is a different beast. 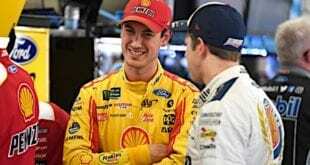 A win in the season-opening Daytona 500 would go a long way toward a bounce-back season. There’s no bigger (and earlier) race to win other than the Daytona 500. If it ain’t broke, don’t fix it is the manta for driver No. 11 heading into Sunday in hopes of replicating his 2016 success in the Great American Race.